The first reference to a bascinet, was in the Italian city of Padua in 1281, being worn by infantry. It is believed that the bascinet evolved from the cervelliere, which was worn with a mail coif, as either the sole form of head protection or beneath a great helm. The bascinet is differentiated from the cervelliere by having a higher, pointed skull. 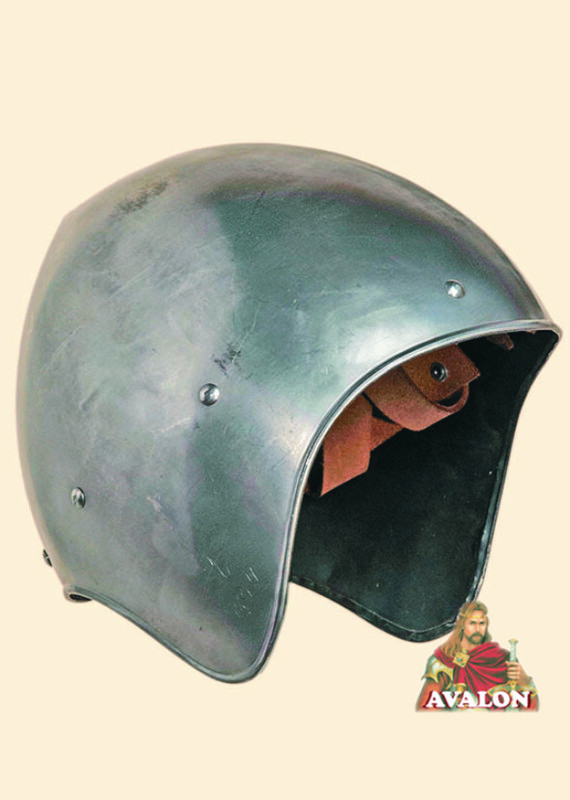 This model of medieval helmet bascinet was popular in the XIV century. You can upgrade your helmet by choosing options: thickness of metal, steel finish (polished or burnished), head circumference. - Thickness of the steel to choose: 1,2 mm -1,5 mm (18 ga -16 ga). Bascinet Helmet is produced by highly skilled artisans in Italy, equipped with leather straps and external adjustable buckles to be worn..